President of Azerbaijan Ilham Aliyev has arrived in Imishli. 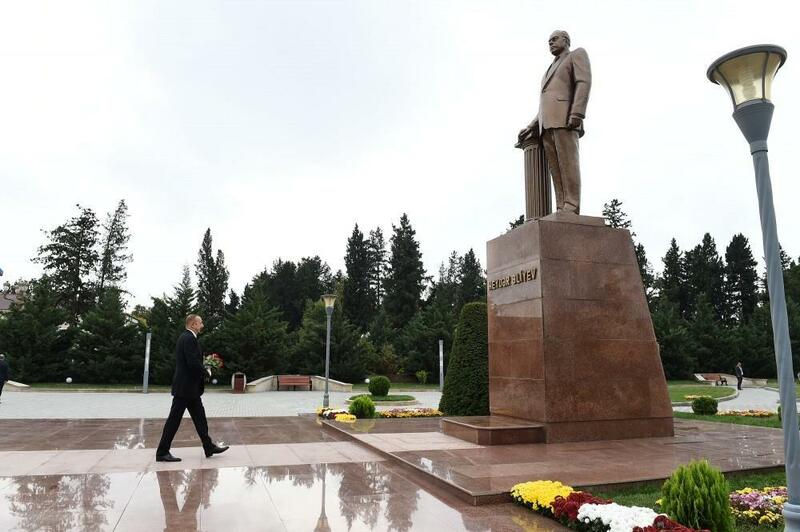 The head of state first laid flowers at a statue of national leader Heydar Aliyev in the center of the city of Imishli. Head of Imishli Executive Authority Vilyam Hajiyev informed President Ilham Aliyev of the landscaping work carried out in the city.